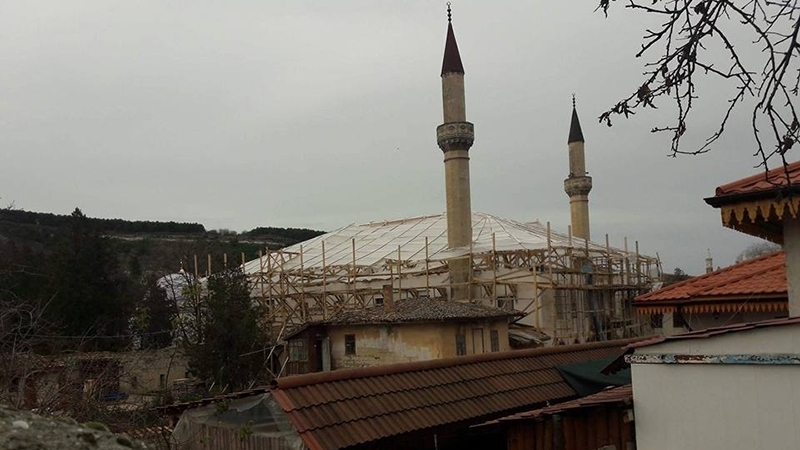 The so-called restoration of the Khan Palace in the occupied Crimea in Bakhchysarai by the occupation authorities is barbaric, the Mufti of the Spiritual Administration of the Autonomous Republic of Crimea, Ayder Rustemov stated. He notes that all the unique details of the Khan's Palace are being destroyed. Ayder Rustemov went on saying that, at the same time, the occupiers are claiming the construction of cathedrals and mosques, which allegedly "were not built in Ukraine." Earlier, in March 2018, the United Nations Educational, Scientific and Cultural Organization (UNESCO) released a report on the deterioration of the situation with the protection of cultural heritage in the Russia-occupied Crimea. In the document, UNESCO indicated facts of violations by the occupation authorities in the protection of cultural heritage. The organization also demanded that the Russian authorities immediately stop the work leading to the destruction of the Khan Palace. The Crimean Tatar diaspora, living in various countries of the world, actively joined the Khan-Sarai defense. Earlier, QHA reported that a performance action took place in Kyiv against the destruction of the Bakhchysarai Palace. Tamila Tasheva, the co-founder of the CrimeanSOS public organization, said that in the occupied Crimea, in addition to the Khan's Palace, other monuments of architecture and religious buildings, including the mosque and the Karaite kenases in Yevpatoria, are under threat of destruction.